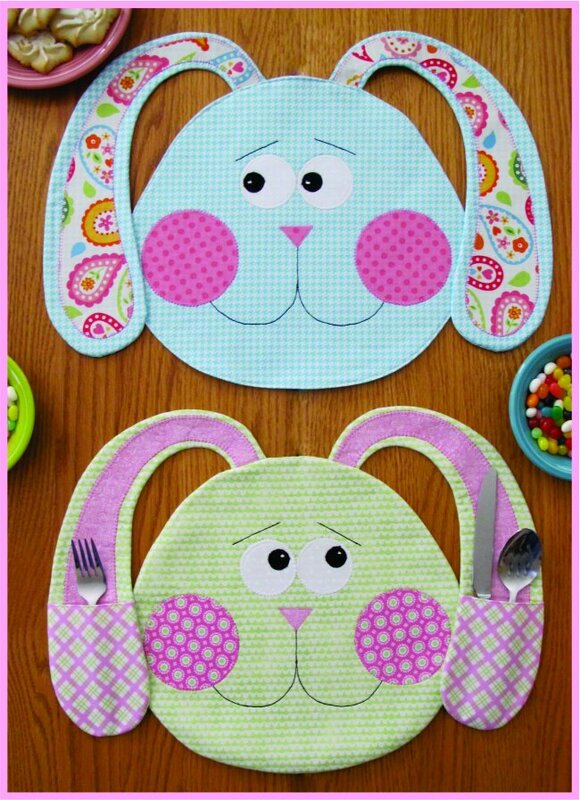 Full-sized pattern pieces to sew up some Super Cute Whimsical Bunny placemats. Great Fun with or without the ear pockets, where you can add flatware, napkins or treats! Sew quick and easy to make hoppy decorations for meals, parties or Easter! Approximate finished size: 17-½” x 13".